DePaul Political Science Professor Michael Mezey explains the influence of the Electoral College through a lesson from recent history. George Bush was elected president,” Mezey said. Mezey's teachings on elections extends from a career that has entered its fifth decade. He has an extensive resume. 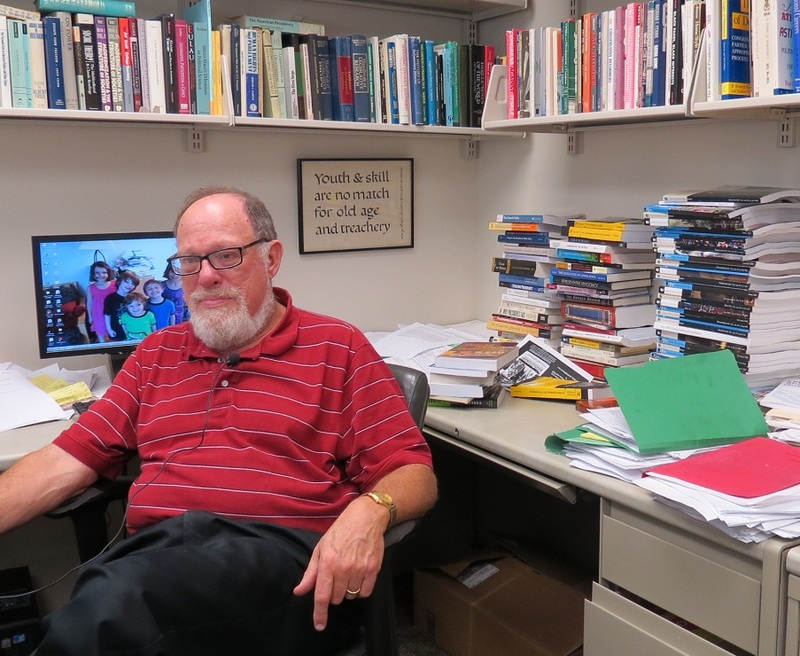 He has worked at DePaul since 1977 and has taught courses at Wesleyan University, University of Virginia, the University of Chicago and Loyola University. He has a Ph.D. from Syracuse University. He has written three books, most recently "Representative Democracy: Legislators and their Constituents". Mezey recently discussed the history behind the Electoral College and how it works today. Q: How would you explain the Electoral College? A: It’s difficult to explain in simple terms because it was an institution created by the founders for a completely different purpose. The founders created the Electoral College because they did not want the people directly selecting the president and they didn’t want the congress directly selecting the president… So the plan was for each state to select electors – people who would be well-educated, people who would be people of substance — and they would meet an decide who they would support for the presidency. Q: How has this system changed over the years? A: Things changed in the early 19th century particularly when the electors began to be organized by the political parties and it came to be that they pledged themselves to vote for the party’s candidate for president. And that’s essentially what we have now. Q: How does the U.S. Constitution define this system? A: Just as the constitution indicated to be elected president you need the majority of votes in the Electoral College there are 538 electoral votes. That’s 435 members of the house, 100 senators, that’s 535 and three for the District of Columbia, which is 538. It requires 270 electoral votes to be elected president. And that’s what we currently have, so it’s not the nation-wide totals that matter in terms of who gets elected president. Q: Do people’s votes really count? A: Yes, I would never say people’s votes don’t count. Of course they count, because they determine who the electoral votes from Illinois will go to, who the electoral votes from Ohio will go to… so of course they count. Q: Could you explain “swing states” and how the Electoral College plays into this? A: We refer to a “swing state” where the result is not as clear. There are a whole range of states — it comes to around nine or 10 — that are viewed as “swing states.” Not because there is anything special about them, but because they are evenly divided between the two parties, which means that either candidate has a chance. Q: Who determines how the Electoral College votes? A: The electors are bound to vote for whoever has the most votes in their state. So if Barack Obama carries Illinois, which I’m sure he will, Illinois’ 20 electoral votes… will go to 20 electors who are pledged to Barack Obama… [they] will cast their 20 votes for Obama and Biden. Q: What other factors influence the Electoral College in making their final decisions? A: With the emergence of political parties, the parties now nominate these electors who are people who are pledged to vote for their party’s candidate. So, republican electors, wherever they’re elected, vote for Romney and Ryan and the democratic electors, wherever they’re elected, will vote for Obama and Biden. Q: Is this system out-of-date? A: Of course it’s out-of-date. There are a couple of things that are out-of-date. The electors… there’s no reason why that still has to be there. They don’t do anything. And there were eight or nine cases over the last 75 years where an elector has voted for someone other than the person to whom they are pledged and it hasn’t affected the outcome of the election, but you know, it’s a source of mischief that we really could do without.